Ravette has lived her eleven years of life with a deformity known as genu recurvatum, which loosely translates as “backward-bending knee.” It is a congenital dislocation of the knee. Ravette struggled to walk, to sit in a car or chair, to climb a staircase, and even to attend school. The most remarkable thing about Ravette is not her deformity. It is her beautiful, ever-constant smile. 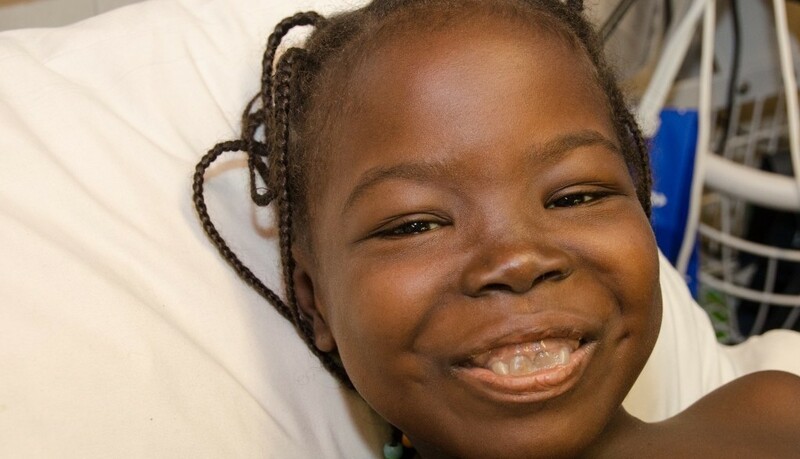 No matter what goes on, even if it’s painful or tedious, Ravette is always smiling. 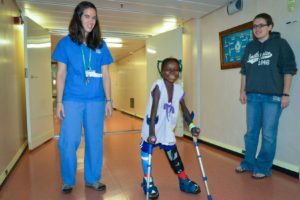 Prior to surgery, Ravette’s legs were placed in the first of a series of specialty orthopedic casts that would gradually stretch her legs. This process would increase the bendability in her soon-to-be-straightened legs. Surgery has since come and gone for Ravette. Hobbling around the wards with her crutches, she is always finding ways to have fun. Whether she’s playing with the Paint program on an old computer or mimicking her crew friends’ English in a singsong voice – “I’m fine, ow are yooouu?” – she creates smiles and laughter. There are many more steps ahead on Ravette’s road to recovery. Gradually and progressively, casts and braces will be removed until the bones are strong enough for Ravette to walk with straight legs and no assistance. Yes, step by step, cast by cast, Ravette is making her way to a brighter future.